I’m a little under the weather this week, but I did manage to finish a few items, and check them off my list…some holiday and birthday gifts for nieces and nephews. 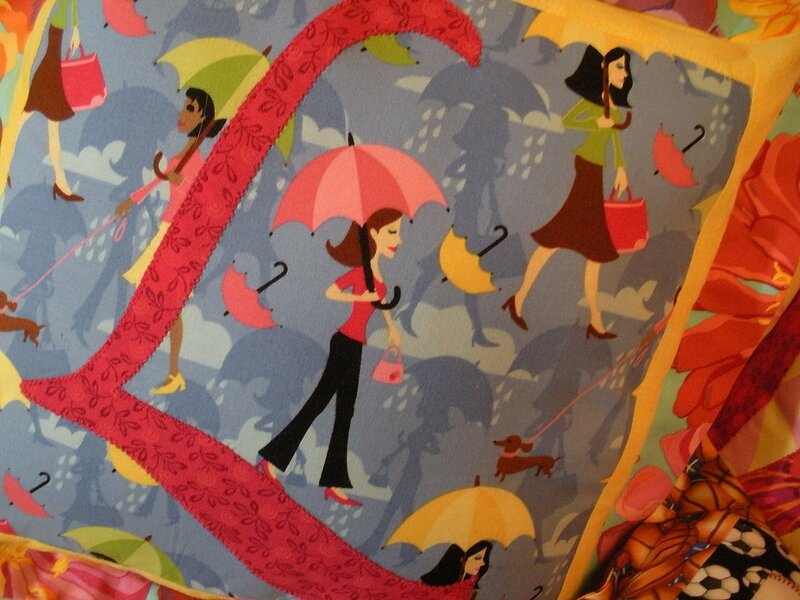 A not-too-little-girlish pillow for the twelve-year old niece…That girl with the pink umbrella looks just like her! Thank you all for your sweet comments on the passing of my Grandmother. She and my Mom are responsible for my “crafty legacy”. I’m hoping to make a floral garden quilt to honor Grandma, I’ve always wanted to, and now I have extra motivation. 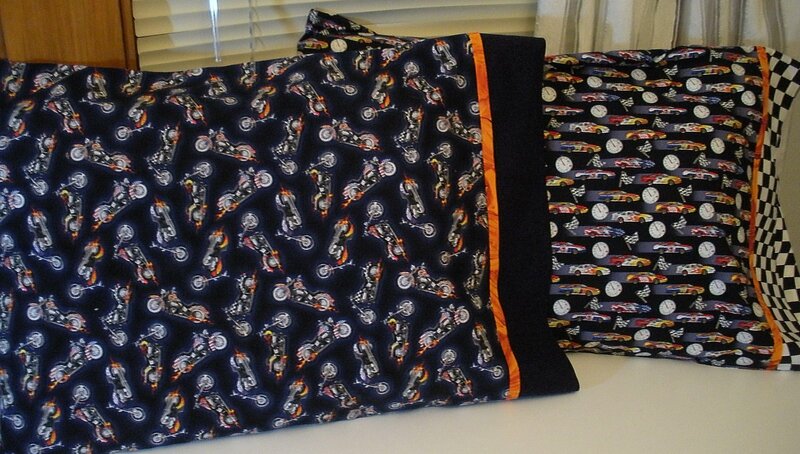 Those pillows and covers are just great…..I am sure they will be well received! 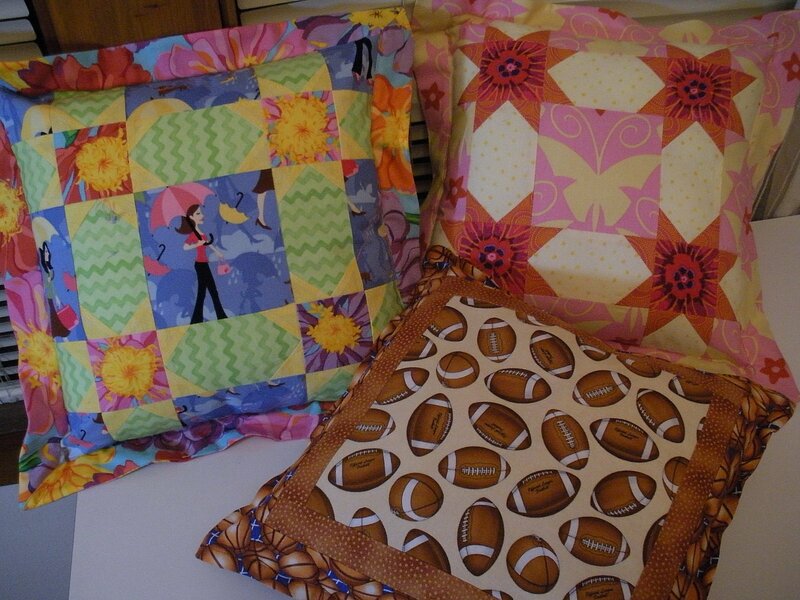 My daughter was complaining the other day that her boyfriend has the audacity to put his head on the cushion I made for her….LOL…..I will be making one for him for Christmas…she is a bit precious about her things!! 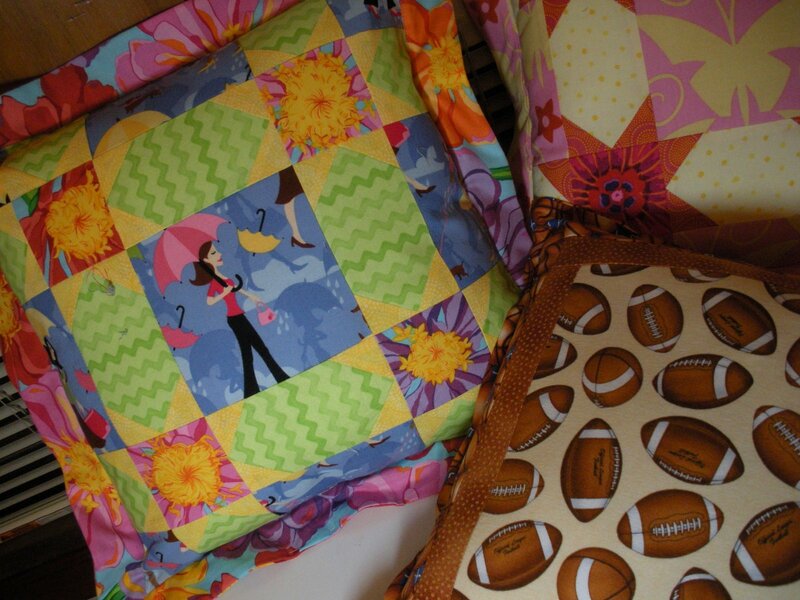 What cute pillows! 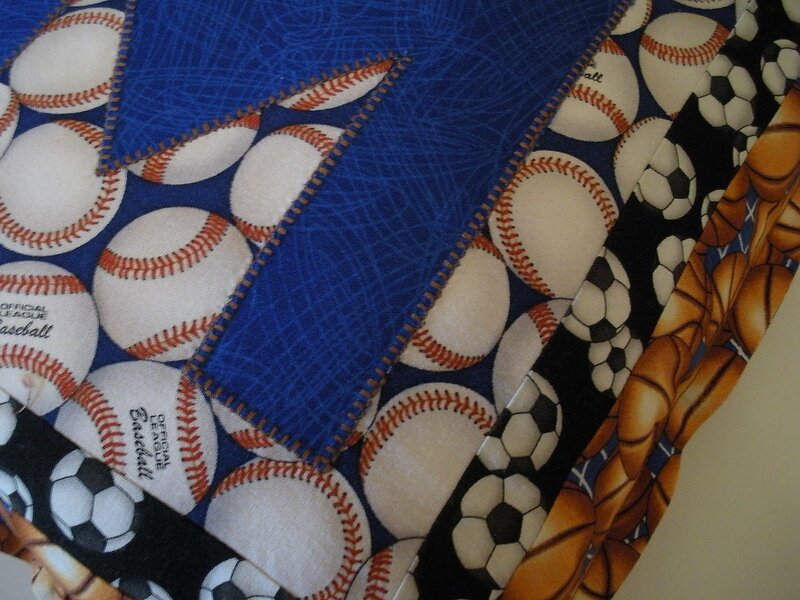 You are so creative.I can’t wait to see the flower garden quilt. I know it will be fabulous. 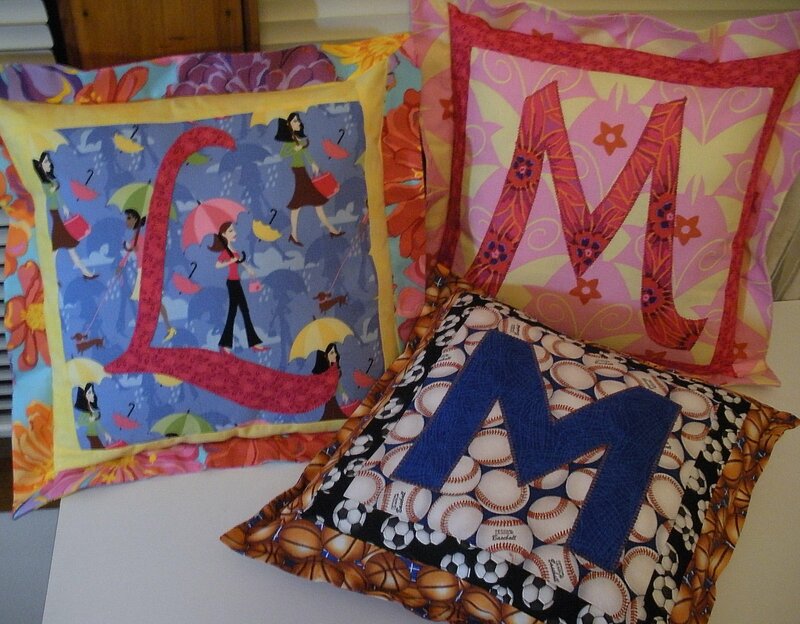 those monogram pillows are great! they will be wonderful gifts. 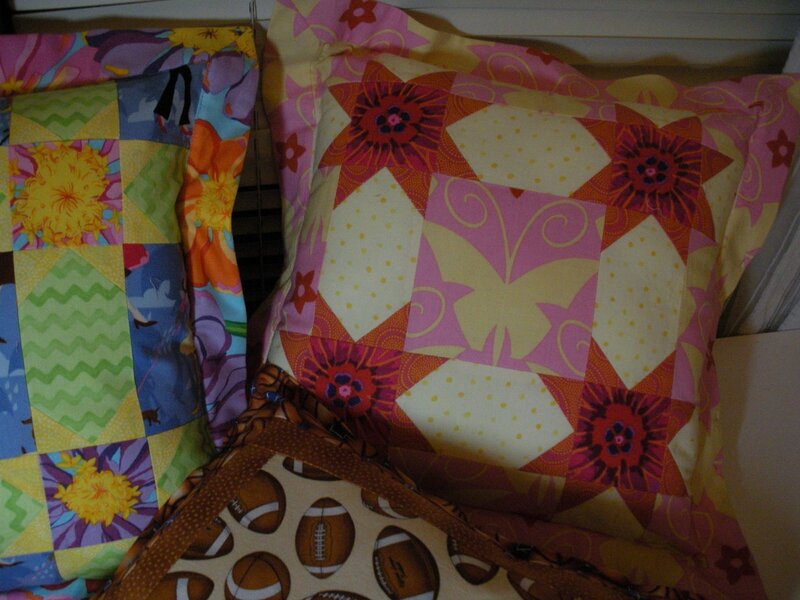 great pillows! 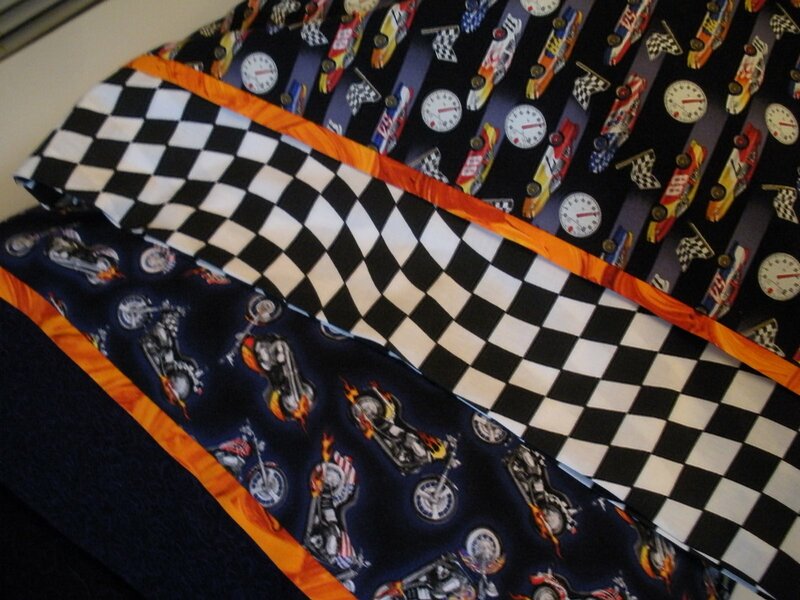 love the harleys! 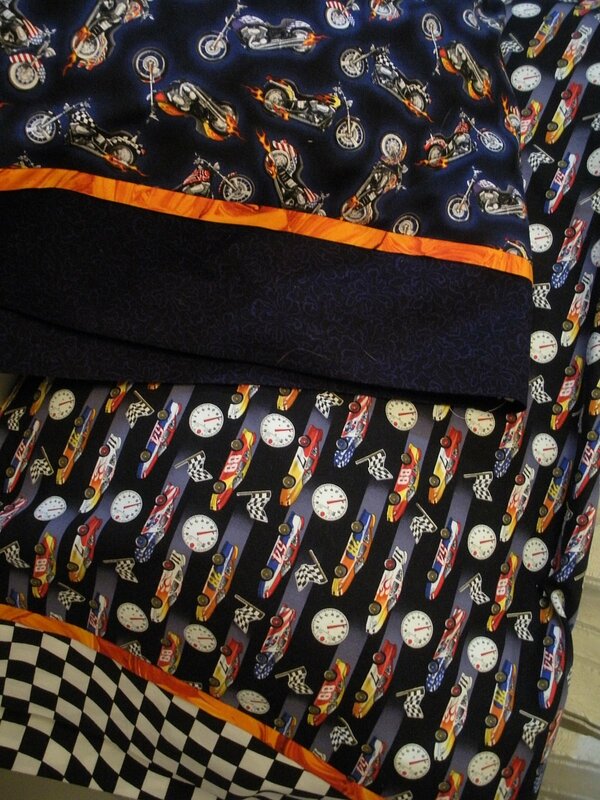 But would you expect less from a harley rider?